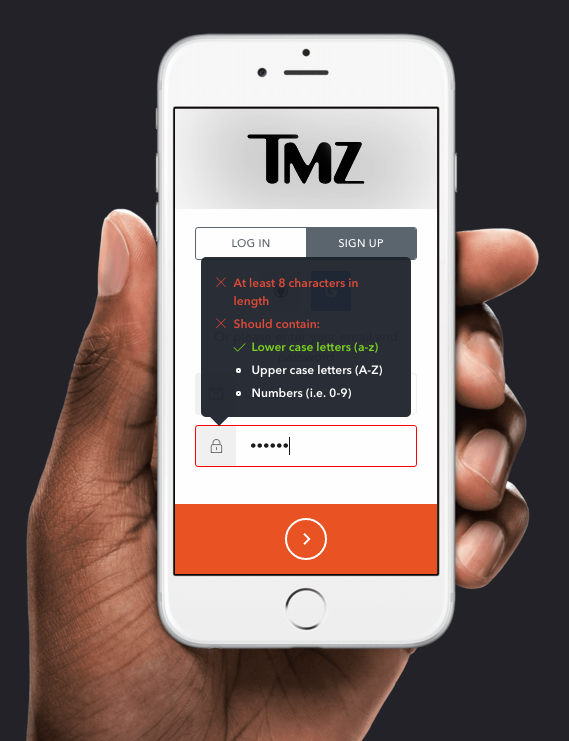 The registration process for your app is super important for your business. Find out how to optimize the flow to work best for your customers and for you. Registering new users is the most basic, fundamental piece of the software business. If you don’t have customers, you don’t have money. With this in mind, you would think companies would devote time and energy in developing the perfect user registration process. Unfortunately, most companies are pretty terrible at it. These are the keys to a better registration process: implement features to streamline the process, design your landing pages and forms to drive conversions, and develop an effective engagement strategy to ensure retention. "App registration should be streamlined, well-designed, and include an effective engagement strategy." On its own, all of that sounds a little high-level and abstract, which is why we’ve compiled a list of 7 hacks you can implement today, with examples, to boost your registration rate. 60% of web users have more than 5 unique passwords to keep track of, and 40% use the “Forgot Password” option at least once a month. 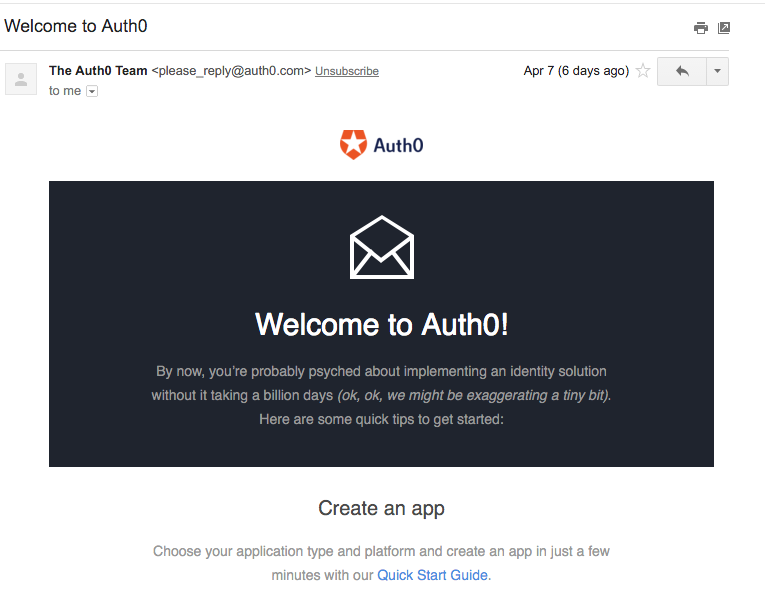 Auth0 undercuts all of that frustration by offering Single Sign On (SSO), allowing customers to sign in through 30+ social platforms, and through other Passwordless authentication channels, like email or SMS. And SSO isn’t just our preference. 77% of users say they prefer applications that offer them the choice of using social login, as opposed to requiring email registration. Just a simple hover form that offers you SSO, or the alternative to enroll with just an email and password. 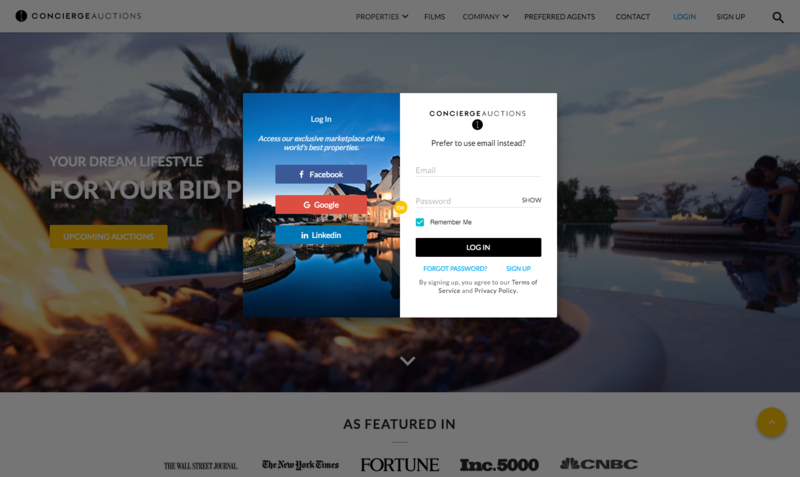 Placing your registration button front and center, for a lot of people, is the intuitive way to call attention to it. This is not enough. Using visual cues can boost a product’s visual engagement 14 times over. THiNK Eye Tracking ran a study on a shampoo advertisement. In one ad, the model looked directly at the audience instead of the shampoo, and only 6% of the audience looked at the shampoo bottle. In the ad where model looked at the shampoo bottle, 84% of the audience followed her gaze to the bottle. 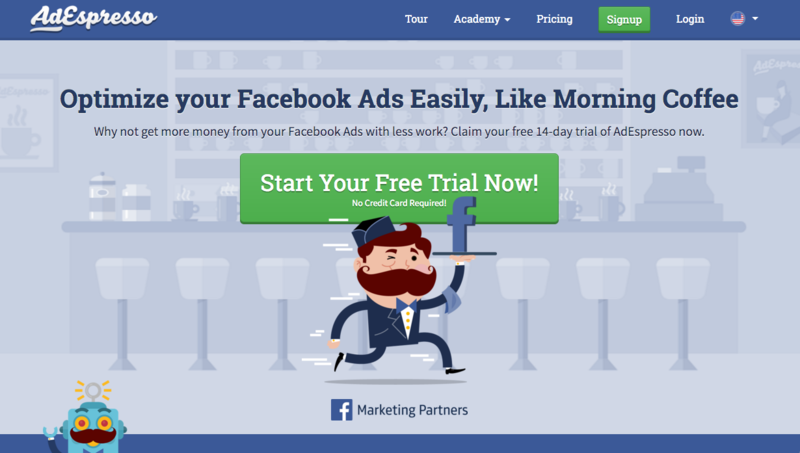 The mustachioed man is positioned just in front of the CTA, drawing your eye to it, which is encapsulated in the same green as the secondary “Signup” button in the navigation bar. Its placement in the center of the page, the way its color contrasts it from everything else, and the subtle overlap of the man and the button make it impossible for you to focus on anything else. We all know the frustration of trying to register for a service that wants your name, phone number, pet’s name, current address, and greatest childhood fear before you can make an account. In fact, 86%of users say they quit on registrations because they’re too long and too prying. Spare your customers this struggle by breaking your registration up into multiple stages—what is known as progressive profiling. Pages that limit their forms to 2-3 fields have the highest conversion rates, and the contrast is stark. 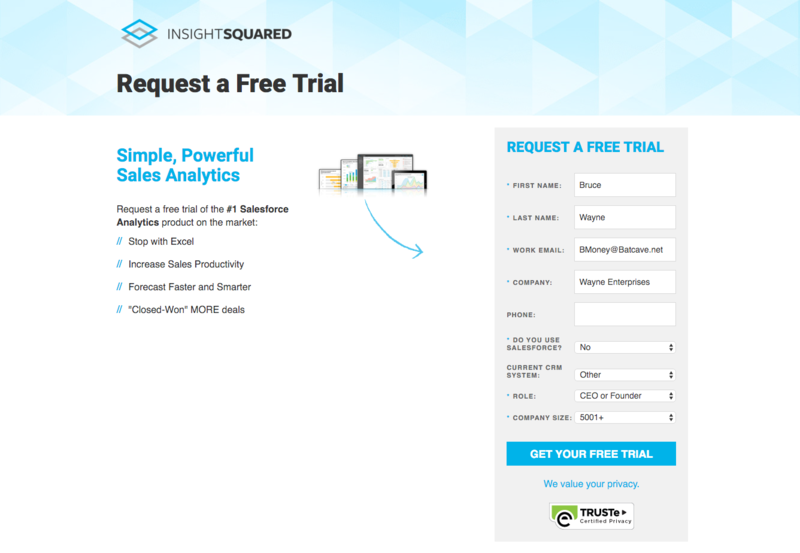 Just lowering from 4 fields to 3 increases conversion rates by 50%. By getting your customers to commit with a short form before easing them into a longer form, you engage what Dr. Robert Cialdini calls the principle of “Commitment and Consistency,” which dictates that people are much more likely to complete a task if they’ve already made some commitment to it, no matter how small. Just 1 text field, no visual distractions, and a clear communication of what they’re offering (a 14-day trial). That sort of form is a conversion machine. Customers choose between either the ease of SSO, or filling out a single field for the email address. It doesn’t matter if the next page has more fields to fill out (it does), due to the principle of “Commitment and Consistency,” they’re much more likely to follow through. Even though you’re asking customers for the only the most necessary information, there is still a good chance they will be nervous about giving you their private data. Americans worry more about their data privacy than their income. 93% of Americans think controlling who has access to their data is important, while only 9% are confident they have control over that. You can appeal to 84% of Americans just by showing them you care about their privacy. Using inline validation like this can lead to a 22% increase in success rate, a 42% decrease in completion times, and a 31% increase in satisfaction. The “Sign Up with Email” button remains un-clickable until your input looks like an actual email address. You don’t have an excuse for not offering mobile support—It’s 2016.51% of all internet traffic comes from mobile, and Google is beginning to rank sites according to their mobile-friendliness. This is important for all registration forms. You don’t want your mobile page to lose the content or style of your desktop page, but you want to optimize it for the smaller screen. 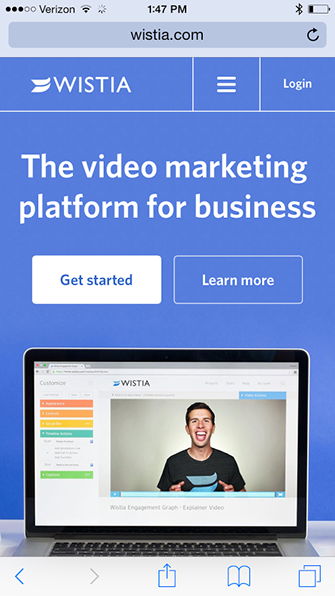 Adopting a simple, vertically-aligned landing page with your key call-to-actions emphasized is a recipe for success. 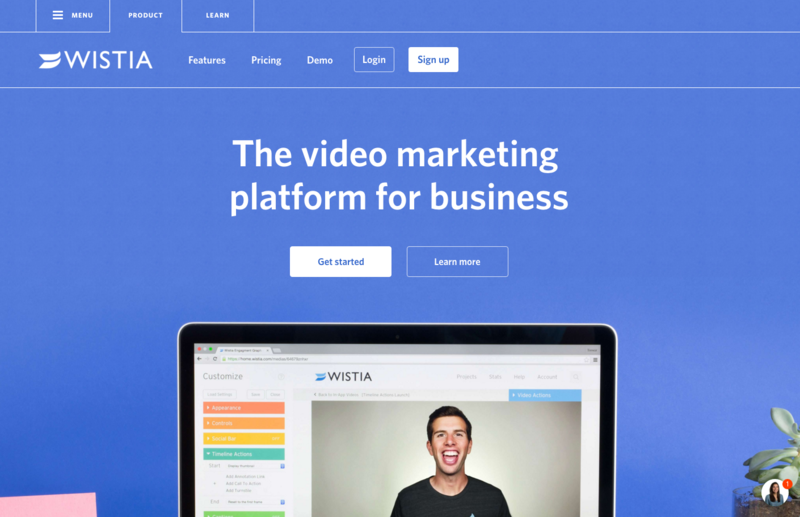 Wistia, a video hosting platform for businesses, does this very well with their mobile and desktop versions. The design remains remarkably consistent, but on the mobile version, the navigation bar is condensed into a dropdown menu, and the content stacks vertically so that the bright “Get Started” button is your central focus. Getting customers to sign up is a big first step in the registration process, but retaining customers will take a bit more than good design. Engage them immediately with a targeted welcome email, and boost the chances that they stick around. With Auth0 Rules, you can easily embed code in your site so that whenever a new user signs up, that data will be passed along to Segment, a platform that stockpiles data for other tools. Using Segment’s integrations with email automation software likeCustomer.io, you can create a system where every new user immediately receives a welcome email. The registration process is the first part of the larger customer lifecycle, meaning that there is no one fix that will make everything better. The design of your landing page is critical, but if your registration process is drawn and convoluted, that nice design is useless. Similarly, getting more customers to complete your registration process will not lead you to growth unless you engage them early and often. Implementing just one of these hacks will not guarantee a successful registration process. You need to use all of them, or as many as apply to you, in order to see—and profit from—that massive spike in registrations that you’re looking for. 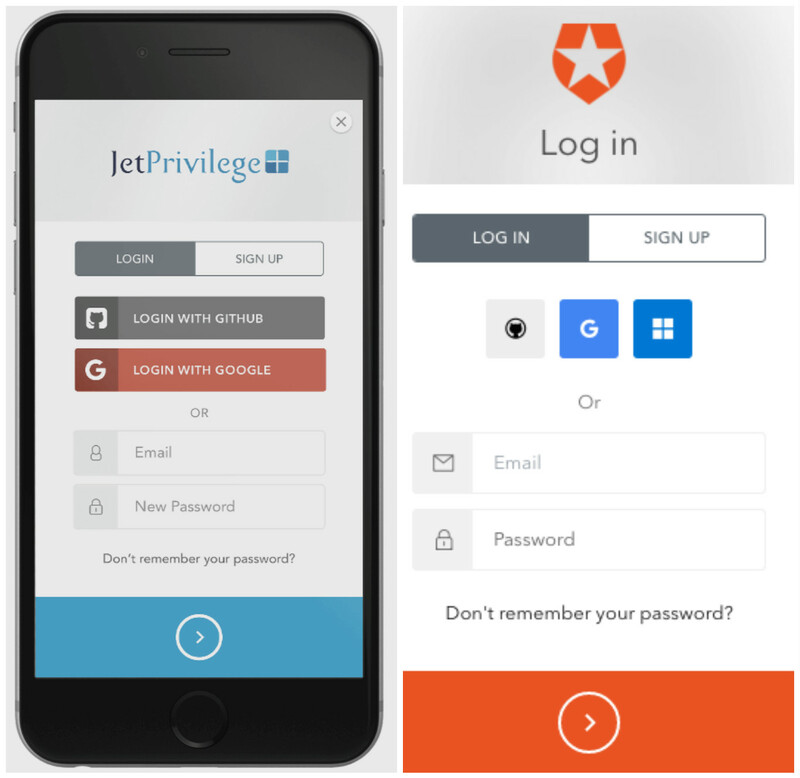 Should You Make Your Users Log In? Published at DZone with permission of Diego Poza , DZone MVB. See the original article here.